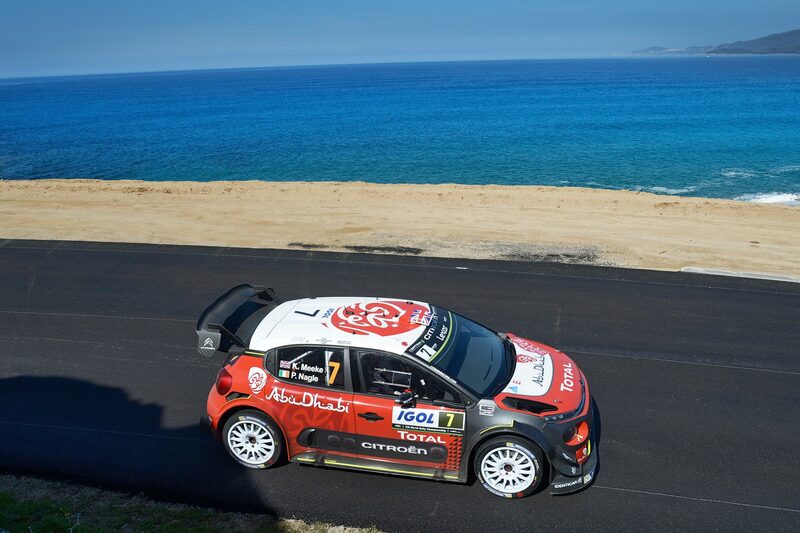 KRIS Meeke dominated Friday’s opening leg to lead the Che Guevara Energy Drink Tour de Corse after winning three of the four mountain-road speed tests. World champion Sébastien Ogier fought hard to contain the Briton and ended 10.3sec behind after winning the other test. Nobody came close to matching the top two. Thierry Neuville finished 25.8sec off the lead in third. Corsica was in benign mood. Unpredictable weather usually makes rain a constant threat, but sun and temperatures touching 20°C kept drivers happy and ensured tyre choice was straightforward. Meeke was apprehensive ahead of this fourth round of the FIA World Rally Championship. His Citroën C3 performed badly on wintry asphalt at the season-opening Rallye Monte-Carlo, but was transformed on the Mediterranean island’s sealed surface roads. He won both morning tests on the east coast near Ajaccio before Ogier prevented a hat-trick with fastest time when the opener was repeated in the afternoon loop. Meeke ended with a third win but acknowledged the danger Ogier posed. Ogier was never truly comfortable with his Ford Fiesta’s handling in bumpy sections. Set-up changes improved his feeling, but the Frenchman promised there was more to come. Neuville was third in every stage in his Hyundai i20 but was perplexed his times did not match the good feeling he had in the car. “I’m running for my life. We’re driving on the edge everywhere, sometimes over the limit, but can’t touch the guys ahead,” he said. Elfyn Evans was more than six minutes off the pace after hydraulic problems rendered his Fiesta’s centre differential and paddle shift gear change unusable for much of the day. Team-mate Ott Tänak retired from fourth after crashing into a ditch and Juho Hänninen went out after hitting a bridge and damaging his Toyota’s steering.